Why create a promo pack in the first place? This is like asking, why stand out from the crowd? Why promote your business? Ultimately the main reasons we use merchandise to promote ourselves is to gain exposure, raise awareness and increase sales. Where Do You Use Promo Packs? Festivals – How many of us have been to a festival and been given a free giveaway? This is the perfect time to promote your business with a festival survival kit. Think of the thousands who will use your branded packs and take them home to their family and friends. You might even see your logo or message posted by users on social media. This is great exposure for your brand! Trade shows and exhibitions – Another fantastic way to promote your business. When you are competing with other businesses, make sure you stand out from the crowd. Have your logo on display and hand your promo packs out to potential prospects and clients. Conferences – This can be anything from a pad, pen and brochure, to a whole conference pack with tissues, mints - the lot! These are useful necessities for a conference and your logo will be on display to all the right people. Direct mail campaigns - A useful sales tool to send out to prospective customers, helping to start a conversation and entice them to engage in the services or goods you offer. Over 80% of respondents reported they they'd purchased products or services from a company that had given them a promotional gift (BPMA 2017). Other events – This can be anything including weddings, corporate events or office sports days. Promotional packs can be so varied, so you can easily target different audiences. How can you refuse? This will draw people to it and the first thing they will do is open it. Before a conference or exhibition we use purple bubble envelopes for a mail out to get people excited before the big event. 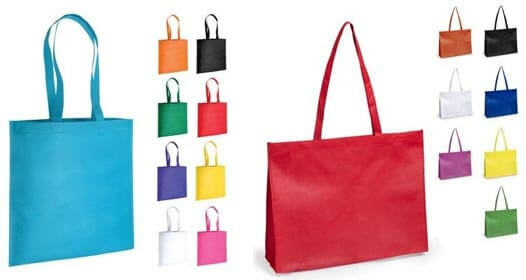 At the event itself we use tote bags or gift boxes with bright colours that will draw your eye. We can offer completely bespoke packaging to meet your creative requirements, Why not think outside the box with compressed textiles as a giveaway? Always make sure there is a fun, free gift included! Make sure this fits the theme of the event and that it’s branded up to draw attention to your logo and marketing message. Everyone loves a freebee – goodwill builds favourable perceptions! Statistics show that 64% think that promotional merchandise has the ability to make people feel appreciated, compared with just 11% for TV advertising, 9% with direct mail, 8% print (newspapers/ magazines) and 8% online advertising (PPAI 2017). Although promotional products score more highly than other advertising mediums, it is of course still important to utilise all of these methods of promotion in order to create an integrated marketing campaign that covers all areas. A pack we have recently provided for leisure centres included: sports bottles, earphones, sweat towels and locker coin keyrings. These are all appropriate and relevant items that could be used in a leisure centre and branded to create optimal impact. Always have a ‘call-to-action’ to encourage customers to get back in touch. Create a powerful leaflet or flyer about your business, with details about what your customers can get from you. Here’s one we created to promote our Americano mugs and complement our other advertising mediums. Notice the first thing you will see is the product and eye catching colours. These are the perfect items to go in a promotional pack. They have a great branding area and everyone needs a strong cup of coffee in the morning. Another benefit of having a ‘call-to-action’ is that you can more easily measure the impact of your promotional marketing campaign. Research conducted by the PPAI (2017) found that 7 in 10 users of promotional merchandise recall the call-to-action. We can’t stress enough how important it is for promo packs to be bright and eye catching. If your logo only has one colour, why not choose bright coloured products to create the impact you are looking for. If your logo is bright and has lots of colours, go wild! If your corporate branding is more conservative and this is a theme that you wish to keep consistent, then try to think of other ways you can stand out. For example through using different textures rather than colours: combining embossing and debossing, shiny/ matte, glitter effects, liquid filling, heat sensitive products, soft touch, using faux animal skin or fur packaging, marble effects etc. Event Attendees will always need an agenda. Whether this is a business event or a festival; they will need to know what is happening, to ensure the event runs smoothly. It is important for the agenda to include all the information your customers need such as: names of speakers, schedules and times, details of presentations, locations, and any other relevant information. This can be in the form of a flyer or leaflet, or you can get really creative with a pop-up flyer! Tissues/ Wipes – useful for any spillages or simply to freshen up! Mints – for that after coffee breath! Notebooks/ pens – there is always someone that comes unprepared without one. Fun gift/ loud toy (Maracas, thunder sticks or fidget spinners) – an entertaining talking point! Keyrings – versatile/ low cost product, everyone owns a pair of keys! Don't forget to measure the success of your promotional marketing campaign, the same as you would for any other campaign, to establish the effectiveness of your merchandise or promo pack, and to ensure that you are hitting key KPIs. But remember, a promotional product campaign can often take longer to reach your return on investment, particularly if the merchandise has a long 'shelf life' (SmallBizDaily 2018).